I don’t know about you, but I truly love recipes that involve only a few ingredients. Just because they aren’t complicated with an endless list of components does not mean they are any less amazing. Sometimes the best dishes (to me) are the simple ones. Today the Sunday Supper crew is definitely embracing that concept. All of the recipes in today’s round up include FIVE ingredients or less! Who doesn’t want to take advantage of that amazingness? I have a secret to share: I have never liked deviled eggs very much. I would eat one or two every once in a while when they were served at holidays, but the filling was never a favorite component of mine. It probably isn’t a surprising realization: I’m not a fan of mayonnaise. But what if there was no mayo involved in the recipe? And it involves avocado…one of the loves of my life? I’m on board with that concept, 100%. I’ve perused variations of guacamole deviled eggs on various sites, so I did draw some inspiration from what I’ve seen in the past. However, when it came to whipping up my own batch, I gathered my ingredients and tasted as I went along to determine the ratio that worked for me. What resulted was an awesome guacamole style filling…that made me LOVE deviled eggs. Now – you have to make the filling for the eggs right before serving…since you’re dealing with avocado, you don’t want the mixture to oxidize and turn brown. Luckily, the mixture is quick and easy to create, so you shouldn’t have any problems! The only problem I had was that I didn’t have enough of the eggs – they were gone from the platter in the blink of an eye! I know I will be making these eggs again, and that is a HUGE statement…coming from this deviled egg disbeliever! Have you tried any non-traditional variations on deviled eggs? Prepare hard boiled eggs and allow them to cool. Remove shells from the eggs by gently tapping the two ends on the counter to release the pressure in the shell, then run the egg under cold water as you peel. Slice eggs in half lengthwise, then scoop out the yolks. Set 4 of them aside for the filling. Arrange the whites of the eggs on a platter, with the yolk "wells" facing upward. In a medium bowl, mash together the avocado, the 4 reserved egg yolks, lime juice, and a pinch of salt. Mix until smooth. Use a spatula to scoop the filling mixture into a quart sized plastic zipper bag. Carefully snip a small corner off of the bottom of the bag, then twist the top to push the filling down toward the opening (like a frosting bag). Pipe the filling into the wells of the egg whites. Garnish with diced green onion and a cilantro leaf. Serve, and enjoy! ***Note: I happened to have some beautiful ripe cherry tomatoes from our garden, and I added a small round slice to the top of each deviled egg. It was a nice addition of color, but not required! 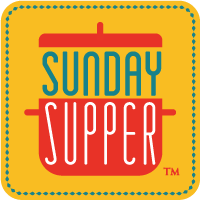 Make sure you check out ALL of the recipes from the Sunday Supper crew with five ingredients or less! You have done what I thought was impossible, make devilled eggs that I would love. No matter what I do I have always hated mayonnaise so devilled eggs were something I always passed on. But not only does this not have mayo in it you used my favourite thing in the world, avocado, in the filling! I have to try these. I am right there with you on disliking mayo. I can’t stand the stuff for some reason. But avocado – now we’re talking! Love these! I usually scoop the yellow stuff out and just eat the white part. I would eat all of these. YUMMMY! Haha – oh my gosh – I used to do the same thing when I was younger! I hated the filling, so I’d scoop it all out and just eat the white! Now these are MY kind of deviled eggs!!! Beautiful, Katie! Love this version, healthier too! My friend made these one day as a St. Patrick’s Day snack, they were fabulous! What gorgeous deviled eggs. They are just perfect and I love that you used guacamole in them! You really can’t go wrong with guacamole! These may be the most beautiful deviled eggs I’ve ever seen! Thanks for the sweet words, Becca! I am not an expert at piping, so I’d like to think these at least have a “rustic chic” quality to them? 😉 Haha! Thanks Tracy! I finally love deviled eggs because of this! Love this twist on deviled eggs! I always love a twist on classics! I am loving all these variations on deviled eggs. Guacamole is awesome, so I’m sure it makes these eggs simply divine! Guacamole makes just about anything amazing, I’d say! I’ve heard of doing this – I really think I need to give it a try! These look delicious. I’d been seeing this kind of variation for so long, and I don’t know why it took me until now to make them! Killer appetizers and just in time for cinco de Mayo. Well first you had me a guacamole, and then at deviled eggs. Really I’m sold on the entire thing. One time soon I’m going to get around to making my own batch. Definitely worth it! I was surprised by how many of them I ended up eating…oops! No sharing! What a fantastic idea. I can’t wait to make these for Alex when she comes home. 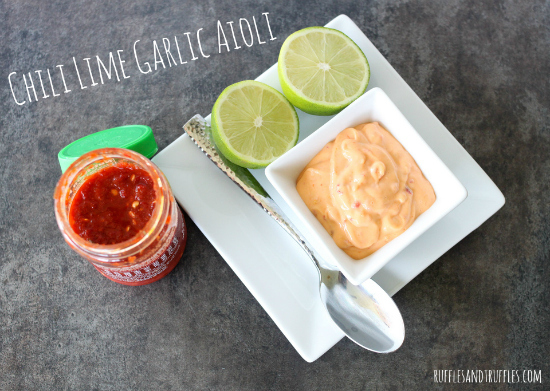 I’m not a deviled egg fan, but your substitution of guacamole would make me try this. I may just have to plan a party to test this one out at! That is exactly how I felt about deviled eggs in the past as well. Exchanging out the filling totally transformed them for me! Love these — two of my favorite party foods in one bite!!! I could eat deviled eggs all day long, then up them with avos, hell ya!! While I could never live up to my husbands mother’s deviled eggs, I’m pretty sure he’d still love me forever if I made him these. The guac is such a great idea! Deviled eggs and guacamole are two of my favorite things – great idea to combine them! I love this, guac and a deviled egg GENIUS!!!!! I’d like to think I’m pretty smart…you know! 😉 I wish I’d thought of the idea completely on my own! I love deviled eggs and I love the addition of the avocado! Gotta try this for my next gathering! Love the addition of tomato for the perfect pop of color! I would love this recipe myself. But my family would probably revolt if I changed my deviled eggs recipe. I may have to try it out the next time we have a get together and make a batch of mine and a batch of yours. I know half the family would love them. That is exactly what I did, actually! I was tasked with the deviled eggs for Easter. I ended up making half and half, because as soon as I mentioned changing it up to a guacamole version, I got confused and skeptical looks from my in laws. However, when it came to serving them up, the guac eggs were gone faster than the regular ones! Ha! My husband would never eat it but I know my daughter and mother in-law would love then. Next family get together I am going to try them out. I hope it goes well if you do! They look so pretty, definitely delish. I’ve seen a couple of recipes for guacamole eggs but I’ve never made them. You have inspired me to give them a try. I’ll remember to make a lot! I definitely don’t feel as guilty eating these in comparison to the “regular” version! I love your great creative recipe. Perfect!!!! My co-worker will LOVE you for this, she’s an avocado nut! She and I would definitely get along! I wish I was able to grow a tree of them here…lol! My stepdad is trying in our greenhouse! Genius!! And gorgeous photos. I love any deviled egg, and love anything with guacamole, so these will definitely be making an appearance on our table! Thanks for the kind words! I was working to take the pictures extremely fast before we left the house to go to my in-laws…talk about under pressure! So cute. Want this for lunch today! This is a wonderful idea and looks gorgeous, too. Awesome recipe!! These sound like something I would love! I still have hard boiled eggs left from Easter, and avocado in the fridge, maybe I’ll whip up a batch! Sounds like a perfect excuse to make some! My sister is a guacamole lover/mayo hater so I’m passing this recipe on to her right away, Katie! You have made a lot of people very happy with this recipe. Personally, I am a fan of deviled eggs of every kind and there are NEVER enough on the platter! I love your addition of the little yellow tomato halves. So pretty! Thanks Stacy! I hope she tries it out…it totally made me a believer to have them! Two of my favourite flavours in one! Deviled Eggs + Avocado = HEAVEN. I’ve never liked deviled eggs either, but these I can get behind. I’m avocado obsessed. I would be able to devour these! We are both part the avocado-obsessed crowd! Definitely. I love the way you presented these eggs. So pretty! I have been wanting to make these for years and never did. Sadly I developed an allergy to avocados out of the blue (I know, so sad!!) so I will have to look at your lovely pictures and dream!! I love deviled eggs and I’ve been on this avocado kick lately so these look mighty good to me.